Though the U.S. still can't partake in the magic that is Spotify, Mog is a quite-capable imitator. With a free app and a $9.99/month subscription, Mog gives you access to a massive music library that exists in the cloud. Connect via WiFi or 3G to stream on the fly, or download tracks in advance to save for those days when you're off the grid. 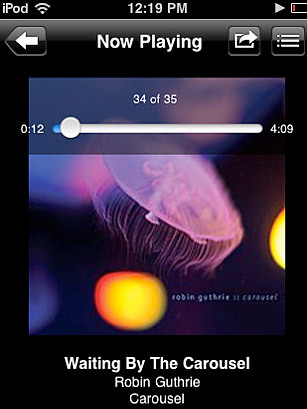 iPhone 4 users also get the benefit of background streaming, which keeps the tunes going while you fiddle around in other apps.